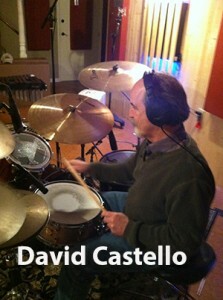 David Castello has played in many groups over the years and even led his own show band playing clubs all over the states. He is fluent in just about any style of drumming you can think of and possesses a rare melodic streak in his drumming that makes him intently in-tune with the song he is playing. Dave and I can write a song together from scratch in about 10 minutes if we are so inclined. Many of the tunes on this project were started by Dave and myself just jamming! And Dave picked up the marimba again after many years of not playing and wrote some beautiful parts to these songs on it. When David is playing I lose track of time and get lost in the parts. 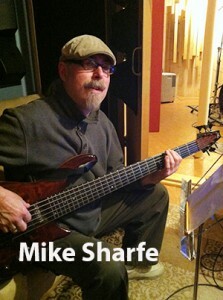 Mike Sharfe has been on more recording dates than he can count and has played with just about every major jazz star you can think of. He is the man for jazz bass in Cinci and has a deep musical vocabulary which comes across in the most natural way. You may forget yourself when you listen to him take off on a melodic run… I know I did! What a player and all around caring person. You would never know how fantastic he is because he is also very humble about everything. Many of the coolest stuff on this music project started at his suggestion… He’s the best! Search out any of his musical projects and you will enjoy! 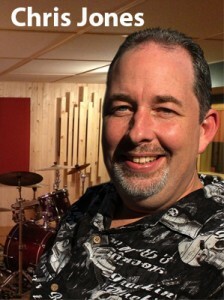 Tim McCord came into the recording sessions, a quiet and reserved fellow… very laid back and friendly. Then he pulled out his sax and literally blew our minds with the best and most melodic lines I ever could have hoped for! What a talent for melody! He certainly plays on a high level but never losing sight of us. 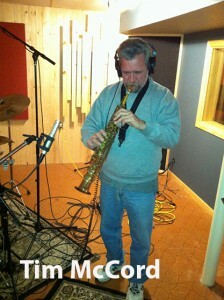 Tim plays around Cinci with all the best Jazz Cats and I hope you get a chance to see him! 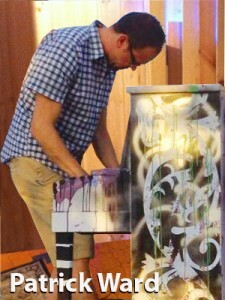 Patrick Ward plays piano with an underlying classical impulse that just sounds right. He loves jazz and rock, too. But I have sat and heard him play the most incredible classical music I wish I knew how to play! He’s got an unending supply of musical ideas and often approaches a song in unique ways. Patrick is my best bud from grade school and my inspiration for being a musician… thanks for being my teacher! 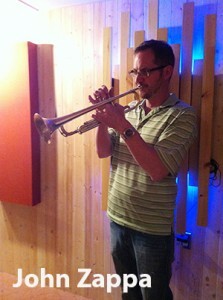 John came in at the end of the tracking sessions and played some great stuff! 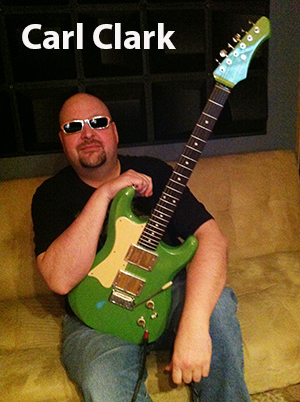 Chris Jones played guitar on two tracks… and recorded and mixed the whole project! A great talent and perfect listener… he made the work easy! Can’t wait for his solo project! 2014 © by Carl, all comic book characters mentioned © their respective owners.